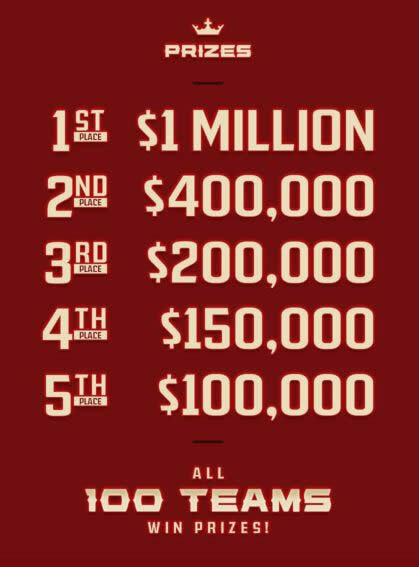 2016 DraftKings $4 Million FBWC - $1 Million to 1st! But it COULD BE YOU! 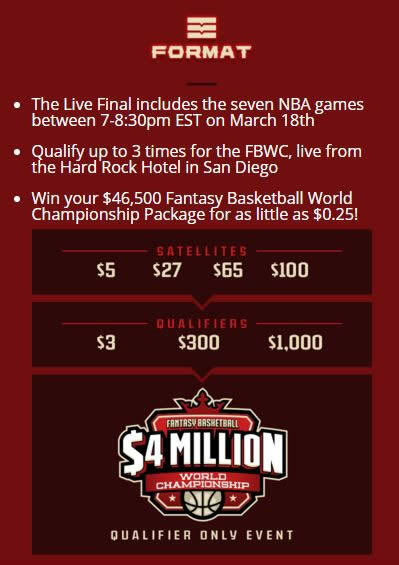 DraftKings is running their 2016 World Fantasy NBA Basketball Championship and someone is walking away with a check for $1 Million. With prize money totalling $ 4 Million - you can get a seat at the BIGGEST NBA Fantasy Basketball Contest for as little as $3! DraftKings.com will be running fantasy basketball games until March with both qualifier contests and satellites and you can actually enter for your chance to win for FREE if you sign up to DraftKings using our link above. 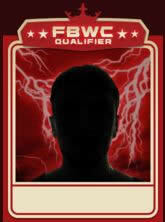 Make your 1st deposit and will get you a FREE $3 ticket that you can use to play in a qualifier contest. When all the spots are filled, 100 fantasy NBA basketball players will be flown down to San Diego for a 5 night VIP Experience. Each qualifier spot itself is worth about $46,500 and that's just to sit at the big table to play for the really big prize money! The total in Prize money is $4 Million cash with $1 Million going to the 2016 Fantasy Basketball World Champion! Check out the Details here. 100 people will be in San Diego playing for $4 Million dollars in prizes while on an all expense paid trip to the Hard Rock Hotel in San Diego - Why aren't you going to be there too? If you know your NBA basketball and are dominating your fantasy league with friends...don't waste your knowledge by not playing in the BIGGEST Fantasy Basketball Contest in 2016! Join DraftKings here and get your FREE ticket into the contest when you use our DraftKings link!